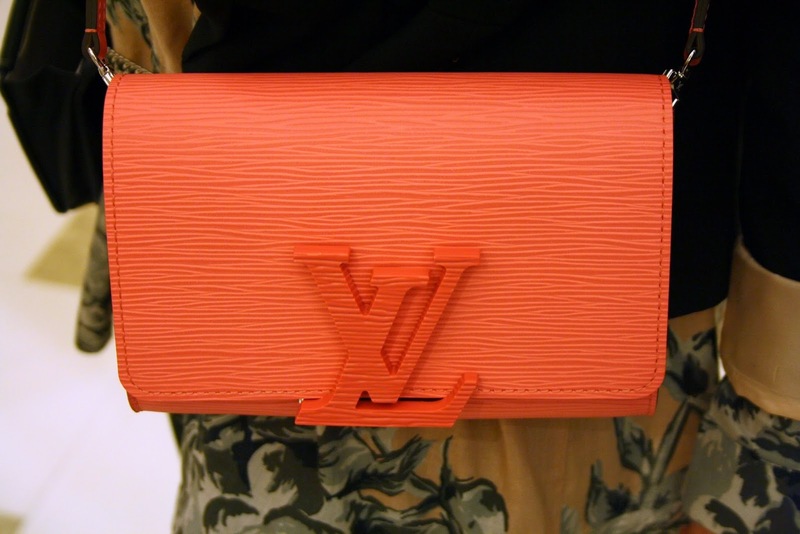 Louis Vuitton, latest spring summer which I spotted during my visit to Dubai. 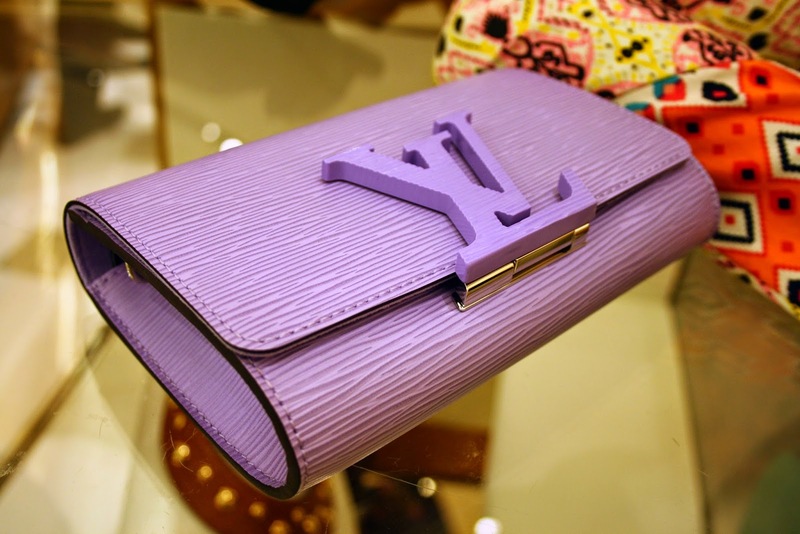 First of all the colours were certainly divine, perfect pastel colours that makes you want to grab a piece of each..
Another addition to the Louise Clutch in epi leather ( my absolute favourite from Louis Vuitton ) and the fact that the logo had the same affect of the leather made a bit more subtle than aggressive..
Aside from the gorgeous coral colour it also came in Lilac , pale rose , and custard yellow the latter which was sold out . The custard yellow is the colour I was eyeing to purchase . Perfect to be carried around as a clutch or to be used as a crossbody using the matching leather strap which accompanies the bag ..